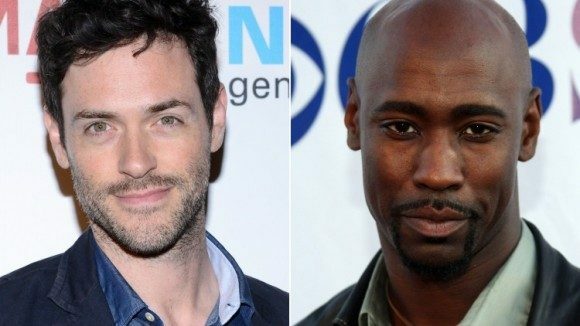 DB Woodside (Parenthood) and Brendan Hines (Betrayal) will join USA’s Suits in a major multi-episode arc during the fourth season this summer. Woodside and Hines will be recurring guests starring along side Suits stars Gabriel Macht, Patrick J. Adams, Gina Torres, Rick Hoffman, Meghan Markle and Sarah Rafferty. Woodside is set to play Jeff Malone who is former SEC prosecutor and a financial expert with a personal stake in Pearson Specter. The firm needs his financial knowledge with their toughest challenge yet. Hines will portray Logan Sanders the child of a millionaire entrepreneur used to getting what he wants. When he wants to make a splashy acquisition, he is put in the middle of a conflict between Harvey (Macht) and Mike (Adams). Woodside is known for his role as President Wayne Palmer on 24 and currently stars in Single Ladies. His past TV credits include Viva Laughlin, Parenthood, Buffy the Vampire Slayer, Hellcats, Hawthorne, Grey’s Anatomy, CSI, Private Practice, Castle and NBC miniseries The Temptations. Hines TV credits include Betrayal, Lie to Me, Scandal, Terminator: The Sarah Connor Chronicles and The Middleman. Production of Suits fourth season begins next week in Toronto, ON. Universal Cable Productions produced the series. It was created and executive produced by Aaron Korsh. Executive producers include Doug Liman, David Bartis, Daniel Arkin and Chris Downey. Gene Klein, Rick Muirragui and Anton Cropper serves as co-executive producers. Woodside is represented by Don Buchwald and Associates, MJ Management and Barry Littman. Hines is represented by Talent Works and Sanders Armstrong Caserta Management. Suits season 3 finale airs on Thursday, April 10 at 9/8c on USA.